The Ontario Disc Sports Association is a group representing Ontario's disc sport interests and development. We're responsible for insuring Ontario clubs, leagues and events, as well as advocating for the growth of our sports through project proposals, pursuit of funding, tour development and hosting/championships. 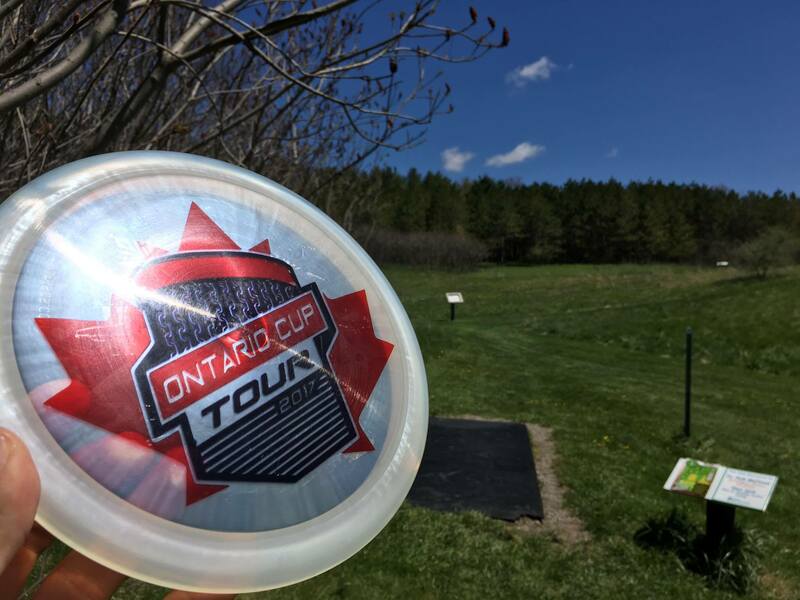 We are currently focused on developing a disc golf tour that promotes province-wide competition, professionalism and player camaraderie while providing our membership statistics tracking and tour titles, as well as Ontario TD's with the ability to develop qualifying criteria for their events. We also provide our membership an annual provincial disc golf championship as well as a women's championship in an effort to further build the demographic. We allocate the majority of our resources towards advocacy projects for our sports, namely integration of our sports into school board recreation curriculum and competition infrastructure, as well as disc golf course installations, fundraising and assistance with associate projects. Do I sign-up for my membership online or through my club? The ODSA is hoping to migrate to online-only membership registration in 2018 which means, unless specified, you should not be paying fees for your ODSA membership directly to your club unless you are part of an ultimate association. Special cases with the Ottawa, London and St.Thomas disc sports clubs still exist (where in-person ODSA membership payment is still an option, but not mandatory), but an effort is currently being made to transition these clubs to electronic registration. If I join two or more clubs, do I have to pay for an ODSA membership for each? Absolutely not. You require a single ODSA membership per calendar year. How does a club or TD know I'm ODSA current? There is a membership directory available on our site HERE. Clubs/Leagues/TD's may also contact us directly for a copy/list of ODSA current golfers in reference to their club/league/event. How does the ODSA support events on its Ontario Cup Tour? The ODSA provides both physical and online support and marketing for all tour TD's. We also have 9 red Innova DISCatcher Pro baskets, two 12'x12' pop-up aluminum frame tents, an HD video camera, a Phantom HD Drone, an online registration platform, the TD Capital program (50% of entry fees before registration even opens! ), full individual and club statistics tracking as well as OB and spectator solutions available to all tour TD's. For 2018 we have also developed an event support tent with fundraising solutions, Ontario Cup Tour standings/updates and Introductory sport information/packages available to enhance current tour events. What type of insurance am I being provided? $2M general liability as well as director & officer for all clubs through BFL Group. What does the ODSA do with my membership funds? We pay for our insurance policy. What is the objective of the Ontario Cup Tour? How do I contribute? I'd like to be part of the discussion. We're planning a competition committee summit this fall and would love for anyone interested in providing constructive feedback to be a part of it. Email chris@ontariodiscsports.ca and/or watch for an announcement from the ODSA facebook page and through our mailing list. We are also ALWAYS receptive to those wishing to volunteer their time and opinion towards the development of our sports by becoming part of the ODSA. Please contact us if this is the case. Other than the Ontario Cup Tour, how is the ODSA active? The ODSA keep active by advocating for course development throughout Ontario as well as the addition of disc golf to phys-ed and recreation curriculum. The ODSA actively pursues, or assists in the pursuit of new course projects in city parks, on golf courses and in school yards. In 2017 the ODSA developed or assisted with projects such as: The Highlands (Collingwood), Hamilton District Christian High School (Hamilton), Dragon Hills Golf Course (Thunder Bay), Project 15 (Peterborough). We're currently working on/assisting projects in Cambridge, Caledonia, Burlington, Grimsby, Muskoka, Niagara Falls and Toronto. The ODSA is also heavily invested in the development of youth and Women's disc golf, two very under-represented demographics in Ontario's competitive community. We regularly schedule youth clinics and high school workshops as well as host the Ontario Women's Disc Golf Championships and have just developed our newest project, The Ontario Women's League, for 2017-18. We are planning further projects to support development of these demographics in our sports for 2018 as well. Please feel free to leave questions below in the comments. The list will be updated regularly in an effort to answer our membership's inquiries.